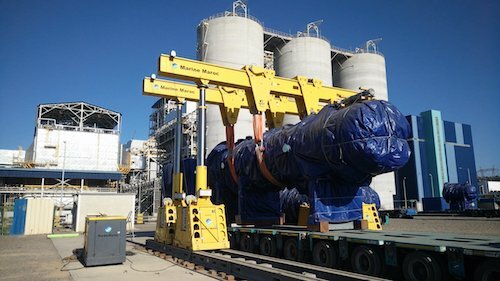 The international logistics company Marine Maroc has used its new Enerpac SL400 gantry to install high pressure heaters (HP heaters) of 130 t at the site of the Safi coal-fired power plant in Southwest Morocco. Marine Maroc was in charge of transporting the heaters from the port of Safi to the plant. Upon arrival at the plant, the Enerpac SL400 telescopic hydraulic gantry was deployed for the first time in order to lift them from hydraulic modular trailers. Equipped with three stage lifting cylinders, the SL400 lifts up to 9.14 metres at the top of the third stage and can handle up to 408 ton at the top of the first stage. For Marine Maroc, the gantry is equipped with powered side shift units for ease of manoeuvring loads. In addition, the SL400 also features an Intelli-Lift wireless control system. On March 28th, during the IJGlobal Awards ceremony, the future deep-water port in Tibar Bay in Timor Leste was awarded the Best Public-Private Partnership in Asia-Pacific. Begun in August 2018, the work includes the construction of a 630m wharf with a 15m draught. 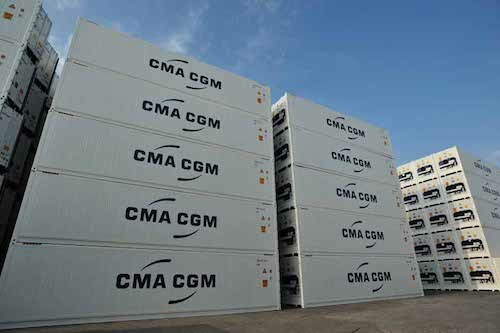 The commissioning of this new infrastructure, able to operate 7,500 TEUs container ships, is scheduled for 2021. A total of $ 490 million (about € 436 million) will be invested over a 30-year period in this project. Breakbulk Europe, one of the world’s largest event for the project cargo and breakbulk industry gathering around 11,000 professionals from more than 120 countries, will return to Bremen, Germany, for the third consecutive year in 2020 at Messe Bremen from 26-28 May. 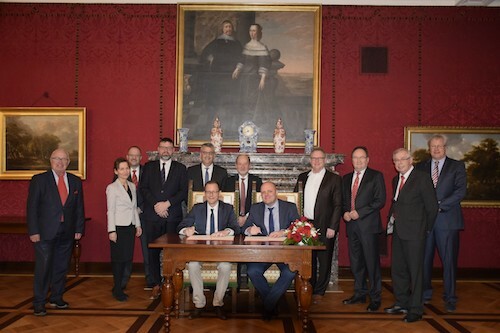 The official signing took place on the 3rd of April at the Bremen Town Hall between Martin Günthner, Minister of Economic Affairs, Labour and Ports of the Federal State of Bremen, Germany, and Nick Davison, Portfolio Director for Breakbulk Events, ITE Group. 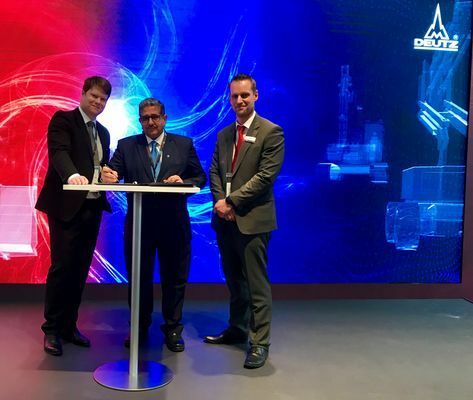 Joining the two cosigners were Hans Peter Schneider, CEO of M3B GmbH (Messe Bremen), representatives of the Bremen ports, logistics and breakbulk community and Michael Skiba, Head of Marketing at bremenports, the host port for Breakbulk Europe. Davison noted that the early announcement was made in consideration of all Breakbulk Europe attendees and especially the more than 550 companies that will exhibit at this year’s event, 21-23 May. 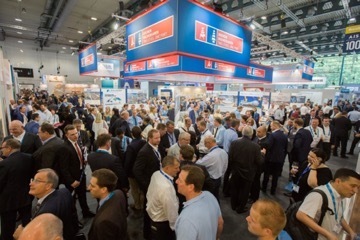 The 2020 announcement came during the runup to Breakbulk Europe 2019, which will be according to the organizer even bigger with more key networking opportunities for all. With the initial move to Bremen in 2018, attendance swelled by 26%, more than double the increase in 2017. Currently, visitor registration is 40% ahead of the same time last year. New to this year’s event is the addition of Hall 7, which will feature the Master Arena, a content theatre designed for the newly revamped VIP Shipper program, along with a Breakbulk Masters lounge located on the second level of this hall. General content offerings have been doubled with the Breakbulk Main Stage in Hall 4 and the Tech & Innovation Hub in Hall 6. The customers and visitor experience has been also improved by more food venues and bars, including an open-air café at the front of the venue, a new registration area in Hall 7 and a better air conditioning system in case of an unusual heat. During the Bauma trade show, the Spanish manufacturer of tower cranes Comansa announced the arrival of a new model in its flat-top range. 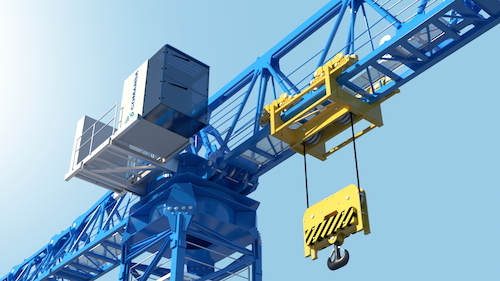 This crane, named 21LC1400 will be available worldwide from September 2019 in two versions, with maximum load capacity of 50 or 66 t. Like the other recent models of the brand, the 21LC1400 will feature a modular design of the counterjib to significantly reduce the counter-radius in constrained jobsites. A new single and compact trolley has also been designed and will replace the former Comansa double trolley system. The main expected application of the new cranes is to work in PPVC and infrastructure projects and on the sites where is necessary to lift very heavy loads. 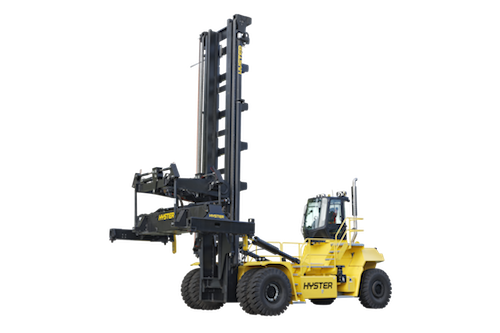 Hyster Europe has launched a brand new top lift laden container handler. The new Hyster H40-52XM-16CH series is available with either gantry style carriage or a dedicated carriage, both are equipped with full CANbus control and automatic locking twist locks. The spreader mounted underneath the gantry carriage is connected with four hangers and is available with mechanical pile slope or powered pile slope. Thanks to the powered pile slope, the spreader adapts better to containers on trailers or on uneven ground surfaces. The gantry carriage also allows a large side shift of 400 mm. The dedicated carriage option, an innovation created by Hyster, consists of a spreader mounted on the upper side. Its reduced weight compared to the gantry carriage reduces the front axle loading by approximately 7%. This helps to reduce tyre wear and therefore operating costs. Designed for port applications, the small footprint of the Hyster H40-52XM-16CH series and its reduced turning radius allows for significant acceleration of container handling operations. In addition, its fuel tank with increased capacity reduces refuelling intervals and downtime. The new container handler stacks up to 6-high and makes first row handling faster in container block stacking applications and when shuttling containers. German engine manufacturer Deutz AG is expanding its network of dealers and service outlets in the Middle East region. The first phase of this expansion will focus on Egypt, the Arab Gulf States and Turkey. “Expanding and digitalising our service activities forms a key part of our growth strategy. 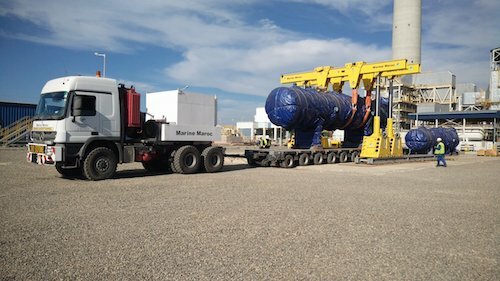 By building on our presence in the Middle East, we will be better able to meet regional demand for our products and services, which will not only make our local operations much more efficient, but will also significantly improve the performance of the service business as a whole,” says Michael Wellenzohn, Member of the Deutz Board of Management. The first day of the Bauma exhibition was successful for Terex Cranes. 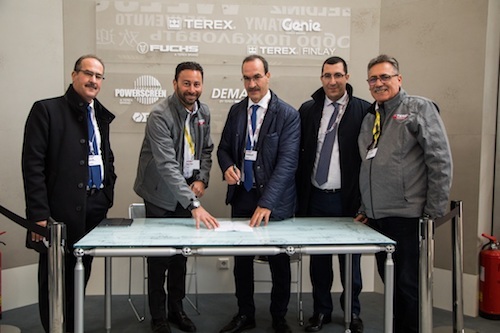 The Algerian distributor ETS SIAD Automobiles (SIAD Group) has ordered six Terex RT 45 and three RT 45L rough terrain cranes. These two models, which have a lifting capacity of 45 t, are distinguished by the length of their main jibs. The Terex RT 45 model is equipped with a 31.1 m main boom and the RT 45L model has a 37.40 m main boom. This acquisition for a total value of $ 50 billion (the cost of repurchase + the repurchase of Anadarko’s debt) will strengthen the position in shale oil and liquefied natural gas. 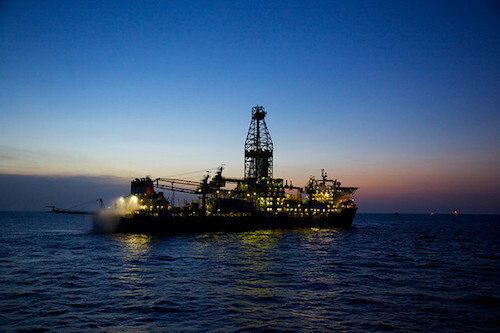 Thanks to this purchase, Chevron will get its hands on a very important natural gas field in Mozambique, on various oil fields in Algeria as well as Ghana and South Africa. It should be noted that this operation will enable Chevron to become the world’s second largest oil company. 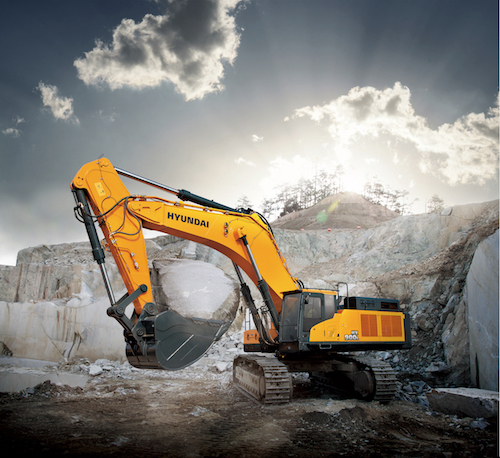 The Korean manufacturer Hyundai Construction Equipment Europe has chosen to highlight the advanced technology of its vehicles as well as the new “Tiger Eye” design for the compact excavator range. 15 construction vehicles including 6 unpublished models in Europe will be exhibited on the stand. First and foremost, the new 1-tonne HX10 A mini excavator and the 8.5 tonnes HX85A CR wheel loader are part of the compact range of the brand. The HX220A L, HX300A L tracked excavators and the HL960A wheel loader will enhance the brand’s V stage compliant range. The new HX900 L is a 90-tonne machine specially created for construction and quarry industries in Europe. It is equipped with a Scania DC16 084A engine developing 641hp (478kW) and compliant with the Stage IV standard. The bucket of this machine has a capacity of 4.85 m3. In addition, this excavator benefits from a new quieter cabin and improved comfort by the addition of an air conditioning system allowing the operator to change its temperature.